CONFIDENCE levels in agriculture vary widely across the country, with seasonal conditions positioning Western Australia as the clear standout performer in the fourth quarter (Q4) of 2018. That’s according to a new measure of Australian agribusiness performance, released today by the National Australia Bank (NAB). The inaugural NAB Agribusiness Banker Survey taps into the observations of NAB’s extensive network of agribusiness bankers, revealing an unprecedented level of insight into agribusiness conditions and confidence. NAB’s chief economist Alan Oster said the quarterly survey derived a unique measure of agribusiness conditions, confidence and actual performance by aligning banker observations with customer industries and locations. “In the survey we ask our bankers to tell us about their agribusiness customers. We don’t ask them to speculate about the economy, or what they think is a good or bad industry. Rather, we want to know how their customers are performing,” Mr Oster said. Agribusiness conditions were negative in Q4 2018. The Agribusiness Conditions Index measured -19, with more bankers reporting weak than strong conditions. Three key components of the Index were negative: trading conditions (-18), profitability (-29) and employment (-9). The strong divergence in seasonal conditions across Australia had a major impact on the Index. 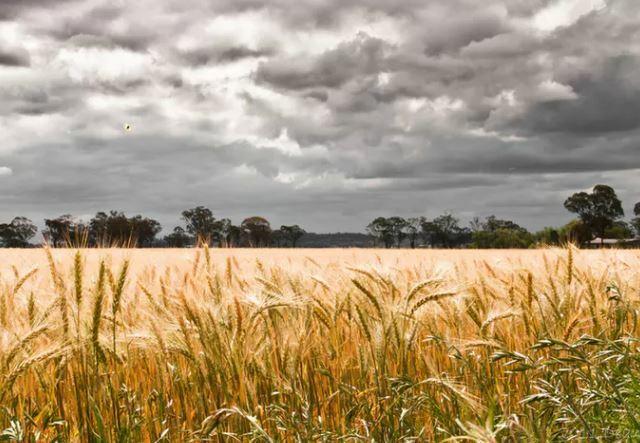 Conditions were weakest in severely drought impacted New South Wales, and strongest in WA due to strong grain prices and the second largest winter crop harvest on record. Wool, lamb and mutton, horticulture, and wine reported the strongest conditions in net terms. Conditions were weakest for broadacre cropping, dairy cattle, pigs and cotton. Overall confidence levels were flat, but varied widely across the country. WA was the clear out-performer, with confidence flat or negative in all other states. Confidence was strongest for mixed cropping and livestock, horticulture (fruit, vegetables and table grapes), wool, lamb and mutton, beef cattle, and wine grapes. Confidence was weakest for dairy cattle, poultry, and sugar. One in five bankers reported that weather events had the largest influence on confidence. Other key drivers were the business outlook, government policy and regulation, pressure on margins and labour availability. The Q4 2018 NAB Agribusiness Banker Survey can be viewed here.